Bose intercepts a prime advertising spot from Beats By Dre. 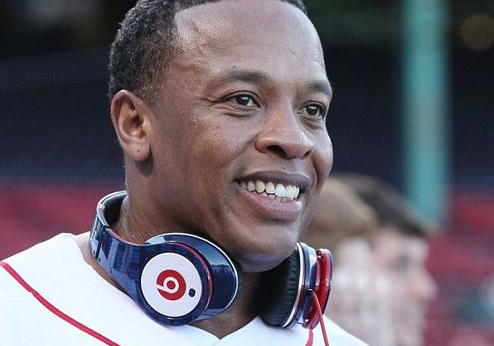 Dr. Dre's iconic Beats headphones have been banned from appearing on camera during any NFL broadcast, according to a new deal between the football league and Beats rival Bose. Under terms of the agreement, the NFL confirmed, Bose received a broad set of rights that allow it to prevent players -- and coaches -- from wearing any other manufacturer’s headphones during televised interviews conducted during pre-season training camps, practice sessions, and on game day — effective from before the opening kickoff through the post-game interviews conducted in the locker room or on the podium. Beats issued a statement in response to the agreement, arguing their headphones are established in the league and have become an important part of many athlete's rituals. “Over the last few years athletes have written Beats into their DNA as part of the pre-game ritual,” a Beats spokesperson said. “Music can have a significant positive effect on an athlete’s focus and mental preparedness and has become as important to performance as any other piece of equipment. Beats by Dre, which Apple acquired for $3 billion earlier this year, makes up 61 percent of the premium headphone market in the U.S. Bose, meanwhile, has a distant 22 percent.